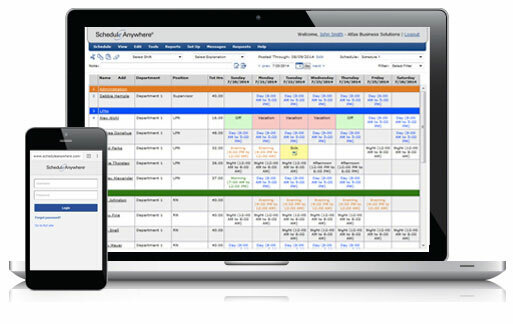 Atlas Business Solutions, Inc. creates employee scheduling software that is a must-have productivity tool for any organization that needs a better way to schedule employees, communicate work schedules, and streamline the entire employee scheduling process. Save time, save money, and end scheduling headaches! No matter your situation, we have the right employee scheduling software for your business. 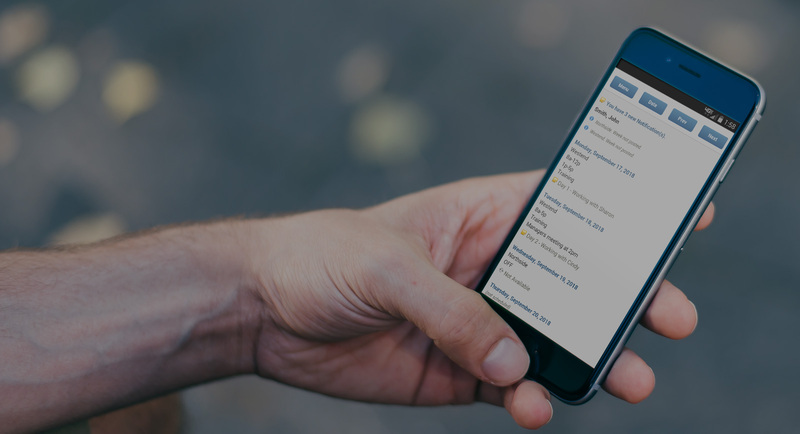 If you schedule people 24/7/365 and need advanced tools for managing shifts, rotations and coverage, ScheduleAnywhere is the right online employee scheduling software for your organization. The fast and easy way to schedule part-time or full-time employees. 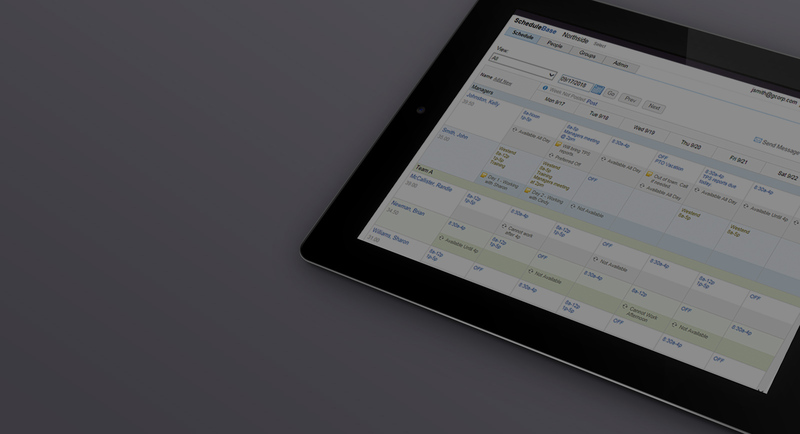 ScheduleBase is flexible online employee scheduling software with simple communication tools at an affordable price. Find open times, schedule appointments quickly, and book more business! Store electronic staff files, as well as write company policies and employee handbooks, with HR software. 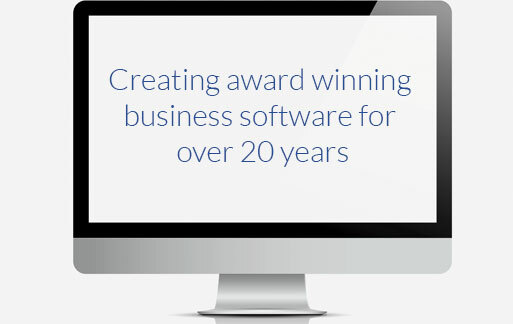 Create a winning business plan with our quick, easy, and proven business plan software. Save time and make your life easier! Atlas Business Solutions, Inc. (ABS) is a leading developer of easy-to-learn, easy-to-use, and affordable business software. Every ABS software product is designed and built with one goal in mind: to save you time and make your life easier! We're proud to have developed strategic relationships with leading software companies to allow a greater number of customers to benefit from our PC-based and web-based software solutions. With hundreds of thousands of satisfied customers, we are confident our business software will indeed save you time and help make your life easier. With over 20 years of experience, ABS has become an industry leader in employee scheduling software, appointment scheduling software, HR software, and business plan software. For more than two decades, we've of helped our customers start, manage and grow their businesses. ABS is the safe, reliable, and proven software partner. © 1995-2019, Atlas Business Solutions, Inc.
© 1995-2018, Atlas Business Solutions, Inc.